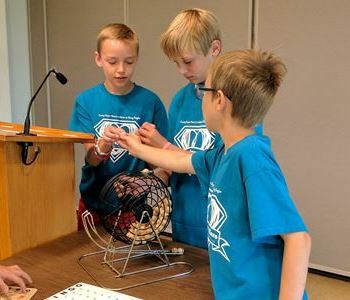 Camp Super Hero teaches you just how easy it is to make a BIG difference in the world. Join us this summer to tackle a brand new volunteer project each week. Get your hands dirty planting trees at a nature conservancy or play carnival games with seniors at a nursing home…you’ll never know what adventure the day will bring! Camp Super Hero is dedicated to R. Douglas Ziegler, who grew up volunteering right here in Washington County. He lived his life as a true super hero, never backing down from an opportunity to help make our community a better place! Sign up for 2019 Camp Super Hero is underway. Don’t miss out on your chance to DO GOOD this summer! Most dates are full. There is still limited availability on July 3, July 17, and July 31. For students entering grades 5-8 in the fall of 2019. 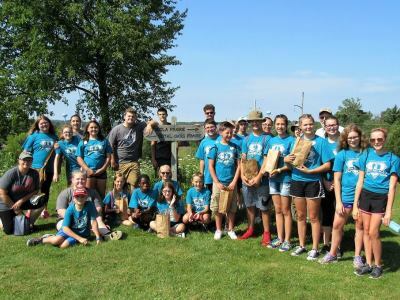 Meet us at the Centennial Shelter at Regner Park at 9:00 a.m. We’ll be back for pick up by 1:00 p.m.
All campers will receive a Camp Super Hero T-shirt. Volunteer destinations are not revealed in advance, but instructions are given on what to wear or bring. This encourages campers to give new experiences a try! Please bring a bag lunch. Snacks are provided. 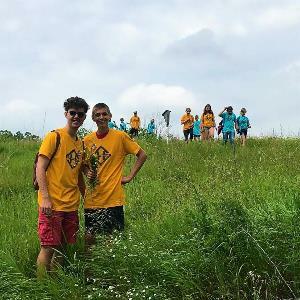 High School Camp – Camp Full! Like Batman to Robin, every good hero needs a mentor. Camp Super Hero empowers you to find your inner leader and coach our young recruits through a brand new volunteer project each week. 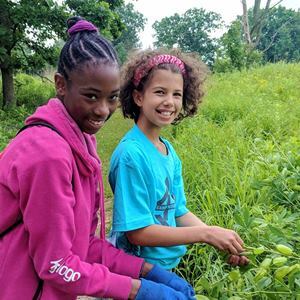 As part of Camp, you’ll complete our interactive training, lead a small group of middle schoolers through our weekly volunteer projects, and make new friends along the way. For students entering grades 9-12 in the fall of 2019. Teens should be able to help with 4 of the 8 Wednesdays between June 26 – August 14. All leaders will receive a Camp Super Hero T-shirt. Volunteer destinations are not revealed in advance, but instructions are given on what to wear or bring. Cost is $45 for the teen leadership program. Registration is full. We will be keeping a wait list and reaching out on a first-come, first-served basis. Looking for other ways to your teens to help this summer? 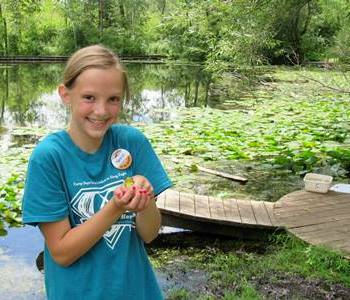 Our friends at Riveredge Nature Center are looking for Teen Counselors for their summer camps. Learn more here. We started Camp Super Hero in 2014 with one goal in mind — get more kids volunteering! We know that when people start volunteering at a young age, they are more likely to volunteer as adults. They make new friends, discover new interests, and are invested in their communities for a lifetime. Since inception, Camp Super Hero has engaged 213 students in service. Together they’ve provided 5,472 volunteer hours to 44 for-purpose agencies. Collectively, they’ve provided $130,381 of service to Washington County. Definitely Super Heroes in our Book. Camp Super Hero is a tribute to Doug Ziegler. Additional thanks to Thrivent Financial – Andrew Mortenson for believing that you’re never too young to make a difference. Camp Super Hero would not be possible without your support.